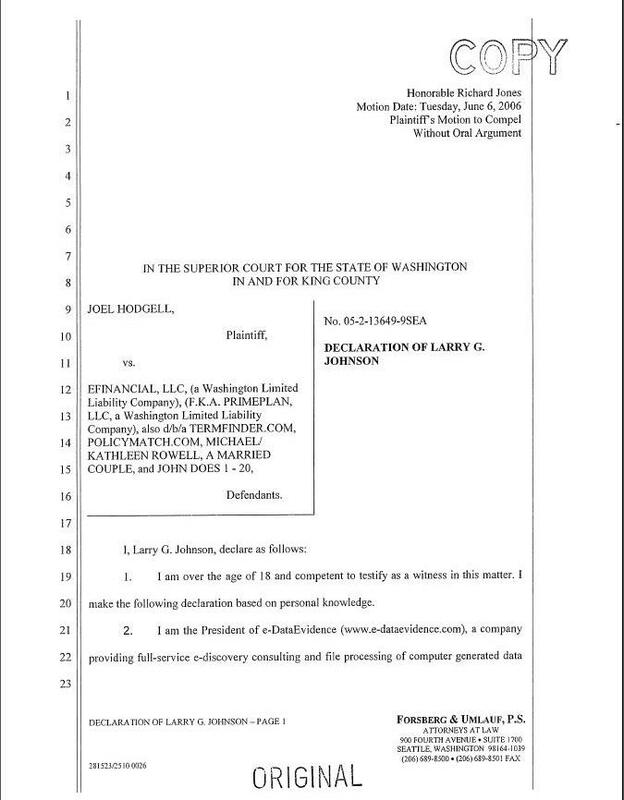 Joel Hodgell sued EFinancial for spams he received at his Hotmail and Yahoo Mail accounts. 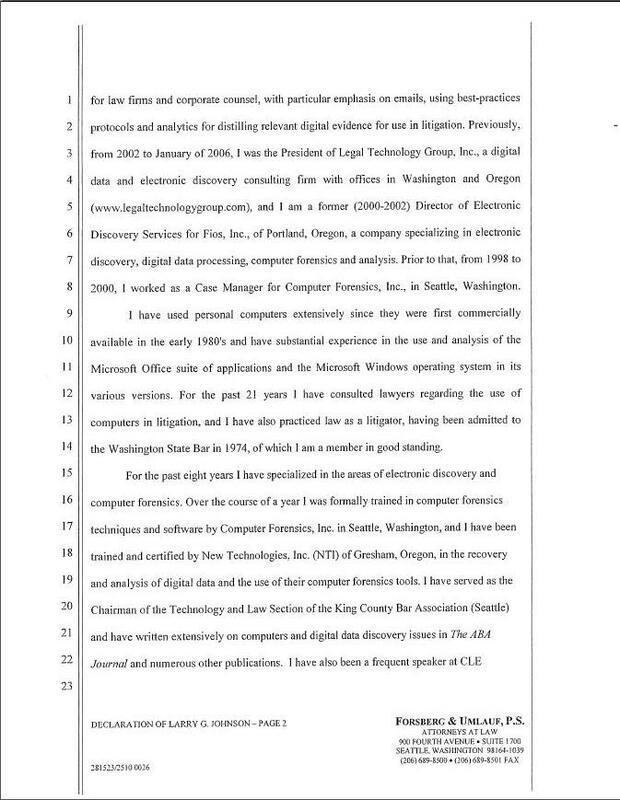 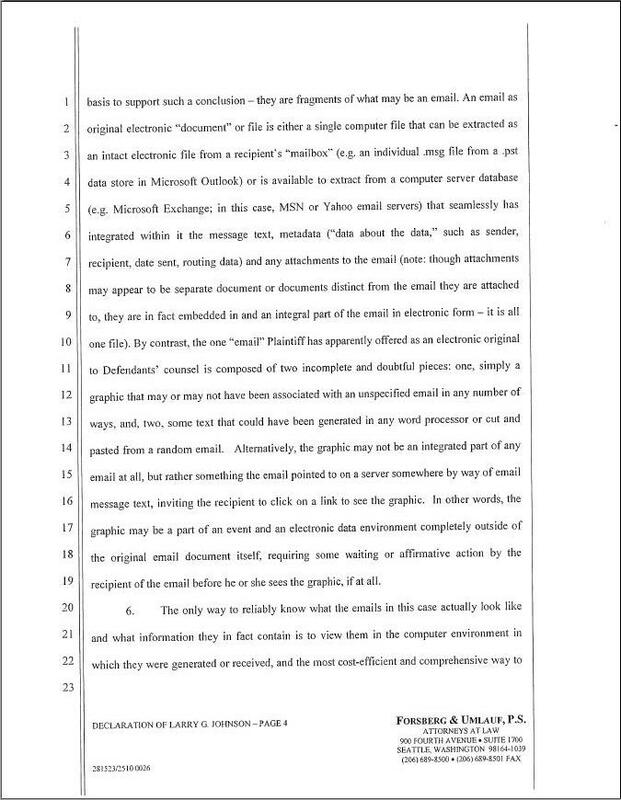 The following is a declaration filed by Larry G. Johnson stating that the only way to "determine the authenticity and source" of the messages Joel received at his Hotmail and Yahoo Mail accounts was to make a "clone copy" of Joel's hard drive, in order to "view them in the environment in which they were generated or received". 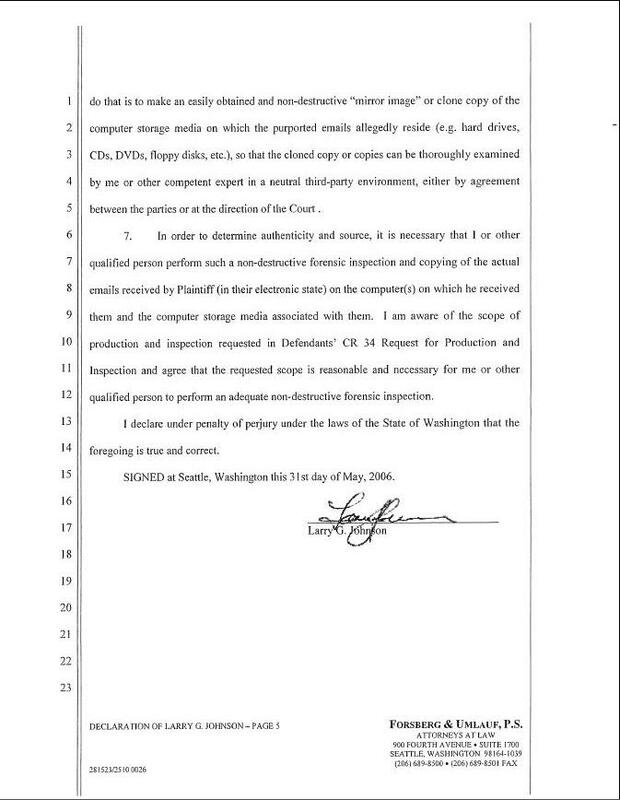 This part of his declaration appears on pages 4 and 5 below.